Sabon's Motto is "The Essence Of Pleasure" and the brand's Body Scrubs (along with all their products) are just that, an experience in pleasure and luxury. Funny, the last time I posted something on a Sabon Body Scrub was exactly one year ago to date. When Winter started, I choose the scent Blue No.533 from the brand's men's collection. Blue No.533 has more of a masculine scent. Even so, its fragrance notes of Fresh Citrus Tree, Sandalwood, Rose, Patchouli, and others, make Blue No.533 a lovely fragrance for both sexes. I use Sabon's body scrubs about two to three times a week; and, they contain finest natural ingredients of Dead Sea Salt, and some natural oils, like Vitamin E, Almond Oil, Jojoba Oil, Borage Oil. These scrubs keep my skin impeccably moisturized and soft, keeping all itchiness at bay, as well as smelling divine! 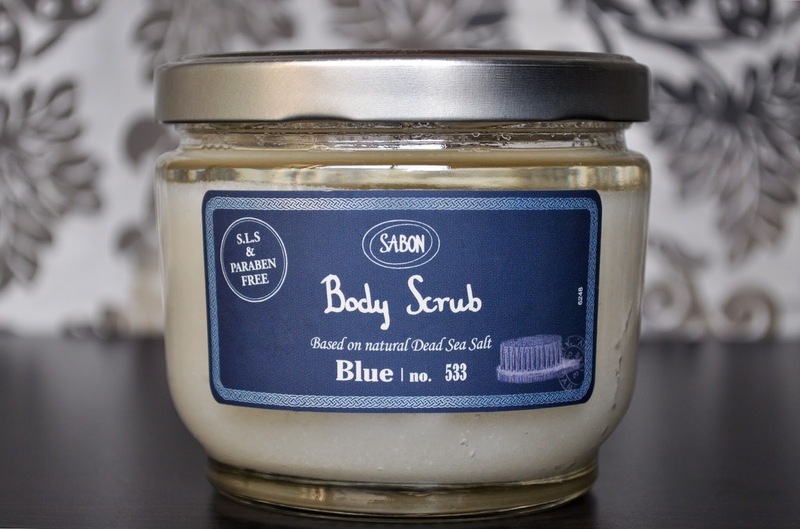 If you would like to read my other Sabon Body Scrub posts, please read here and here.